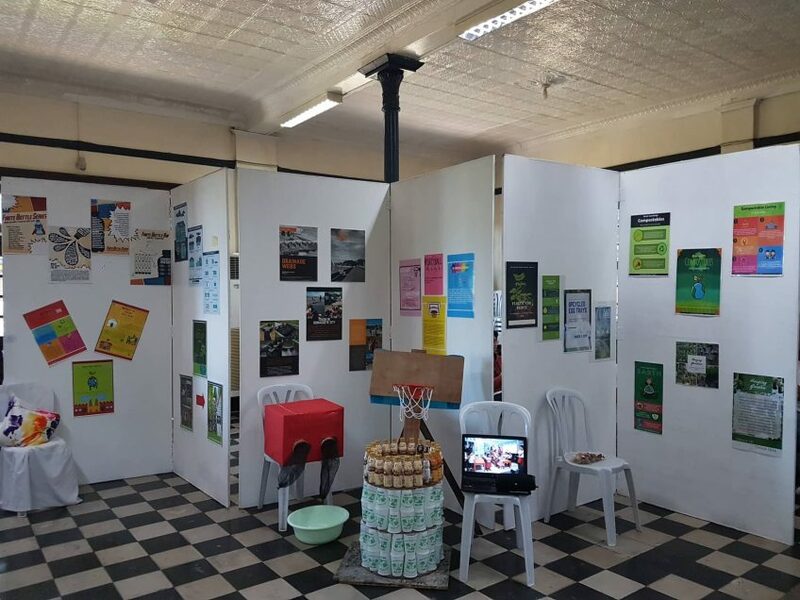 “Green Ideas” of 16 groups of CWTS cadets displayed at the Silliman Hall. 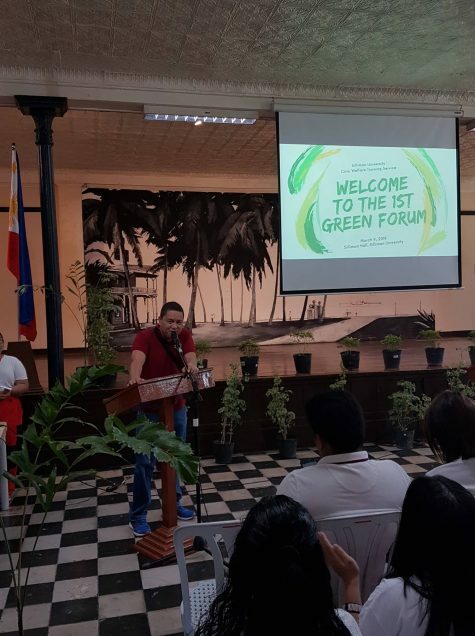 Dr. Earl Jude Paul L. Cleope, SU vice president for Academic Affairs, delivers the welcome remarks during the CWTS Green Forum March 9 at Silliman Hall. The Silliman University (SU) Civic Welfare Training Service (CWTS) office conducted the first “Green Forum” March 9 at SU Hall where CWTS cadets, students from different schools, expert resource persons, and members of the Silliman community gathered to learn about best practices in advocacy work for the environment. Novee E. Maestrecampo Jr., SU Extension Program project development coordinator, said the forum was also a culmination of environment projects initiated by CWTS, namely: “Bamboo Straw Initiative,” with Bayaw-ANI; Silliman CWTS Plogs, in partnership with SUCC Multipurpose Cooperative; and “Start ‘em Young,” with the Dumaguete City Social Welfare and Development Office. During the forum, 16 groups of CWTS cadets presented their outputs for “Green Ideas,” a major class requirement in CWTS initiated for the cadets to “explore ingenuity and creativity to conceptualize solutions to everyday life environmental concerns” based on the themes “Zero Waste” and “Environmental Stewardship,” said Maestrecampo. The groups presented ideas to solve environmental issues, including upcycling waste bottles into trash bins, Information, Education, & Communication campaigns for community children, making bottles and drinking straws from organic materials, creating a water catchment system, among others. Only five groups were then chosen to present in the plenary session of the forum. Moreover, SU Student Government President-elect Aprille Roselle Vince Juanillo, who is also the vice president of the Association of Young Environmental Journalists (AYEJ), spoke during the forum to challenge fellow Sillimanians to become active allies for the environment. Maestrecampo said that because of the Green Forum’s success, the CWTS office aims to make it an annual event involving more partners from different sector and advocacy groups.